Bost (third from the left, back row) with her Construction Academy class. PHOENIX – An unemployed single mom of three, Iris Bost hoped to break into the male-dominated construction industry that would provide better pay than working retail. 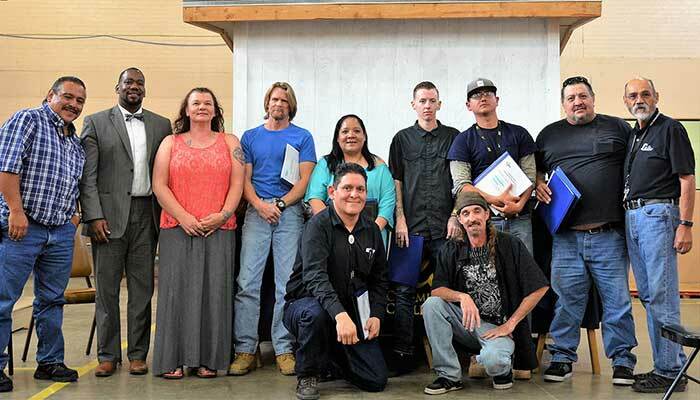 After finishing her training last year, Bost decided to start her own business teaching classes on job-related safety and health hazards as well as flagger/traffic control certification in partnership with ADOT and Gila Community College.